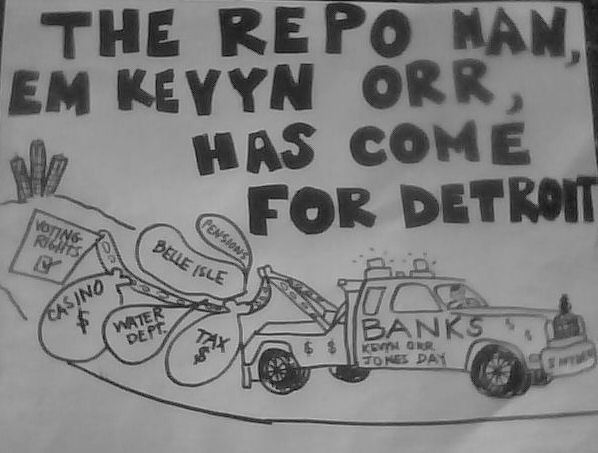 U.N. officials condemn Detroit water shutoffs » Cancel Detroit’s Debt To The Banks! The shutoff of water to thousands of Detroit homes has become national and international news. An appeal to the United Nations by activists about the inhuman, profit-driven shutoffs has resulted in condemnation of these actions by U.N. officials involved in water and sanitation issues. “Disconnections due to non-payment are only permissible if it can be shown that the resident is able to pay but is not paying. In other words, when there is genuine inability to pay, human rights simply forbids disconnections,” explained Catarina de Albuquerque, the first U.N. Special Rapporteur on the right to safe drinking water and sanitation. She was appointed by the Human Rights Council in 2008. Mass water cutoffs have been accelerating in Detroit. The Water Department has hired special contractors, under the direction of Emergency Manager Kevyn Orr, as part of restructuring the city in the ongoing bankruptcy proceedings. Up to 3,000 families a week are being denied water for failure to pay their water bills. These bills are often only $125 dollars behind. Detroit’s City Council added to the crisis by approving an 8 percent increase to water and sewerage rates in mid-June. Protesters have gathered outside the Water Board Building in downtown Detroit every Friday for the past two months. Billed as “Freedom Fridays,” demonstrators have marched throughout the downtown district after picketing the Water Board. 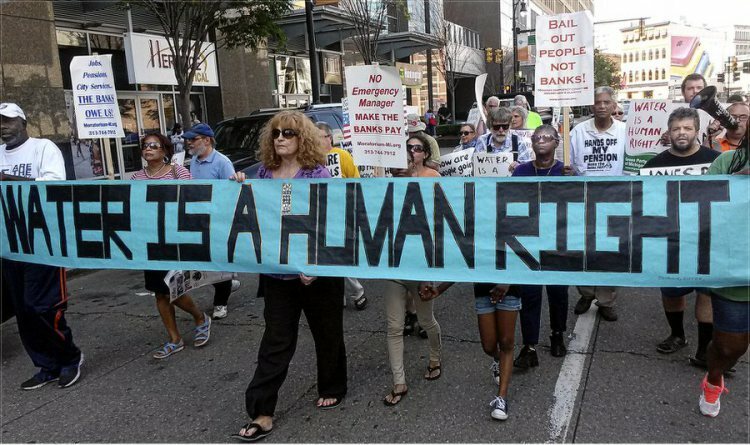 Protesters occupied the Bank of America office on June 13, demanding that the corporations and banks stop their attacks on poor and working people of Detroit. On June 27, Freedom Friday 8 ended with a rally and speak-out. Those protesting water shutoffs joined with retired city of Detroit workers facing huge pension cuts in the Detroit restructuring and others concerned with the future of the people of Detroit. Especially galling to many are reports that huge corporate and institutional water bills are delinquent, but services of those institutions are not being shut off. Palmer Park Golf Club and the Veterans Administration hospital are said to owe more than $200,000 each. The Detroit Public Schools system is alleged to be $2.2 million behind. The Detroit Red Wings hockey rink, Eastern Market and Ford Field stadium reportedly owe more than $55,000. The Water Department reports that more than half of residential customers are behind. Detroit’s high unemployment rate, which is officially 14.5 percent, and high poverty rate make many families choose between paying for food, medicine, housing or water. This is a human rights crisis. 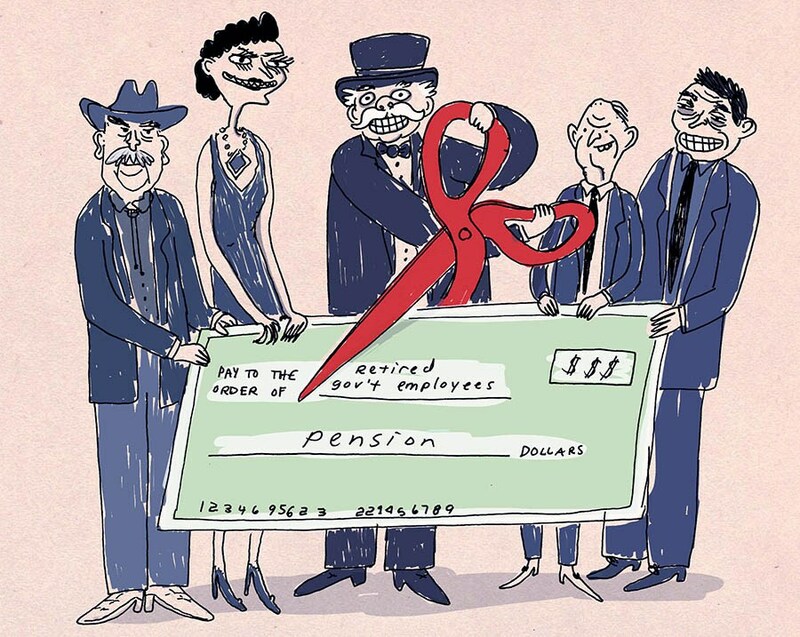 The author, David Sole, is a Water Department retiree and a leaader in the Stop Theft of Our Pensions Committee. This article also appeared at workers.org.